36" bind corner base cabinet cabinets complete with soft closing hinges. 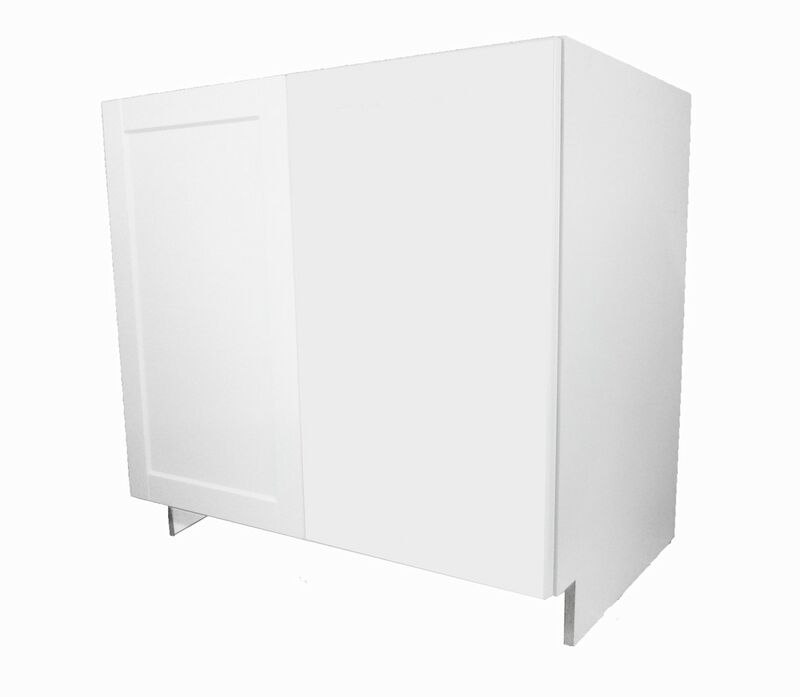 This cabinet is perfect for tight spaces while providing maximum use of all space. This cabinet can be combined with blind corner optimizer to achieve maximum efficiency of the cabinet. This cabinet must be pulled a minimum of 8 inches from the adjacent corner. Height: 34 3/4" Length: 23 5/8" Width: 36"